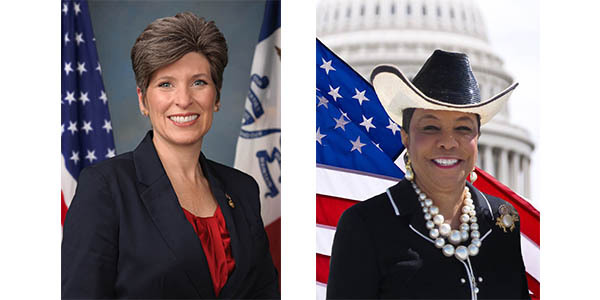 Sen. Joni Ernst (R-Iowa), left, and Rep. Frederica S. Wilson (D-Fla.), right. The House Transportation & Infrastructure (T&I) Committee has 15 new members, and the Senate Environment & Public Works Committee has four new members. Newsline is helping to introduce them short bios. This week: Sen. Joni Ernst (R-Iowa) and Rep. Frederica S. Wilson (D-Fla.).